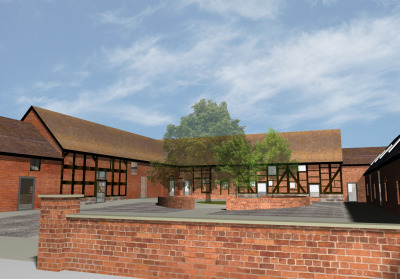 A Feasibility study to convert a range of Grade 2 listed barns into teaching accommodation. The project was to convert the existing, stables, stores and animals pens into teaching accommodation, student recreation facilities and staff offices. 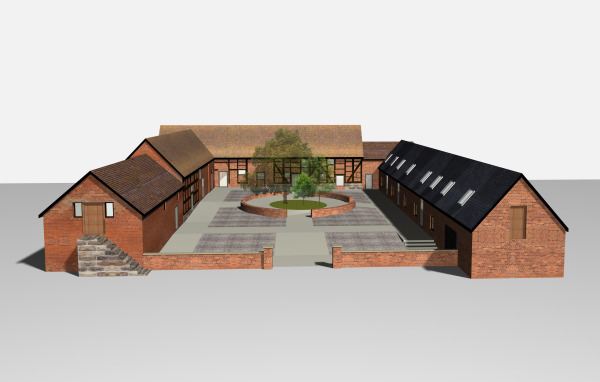 The stable and barns are set in a U shape around a central courtyard, with three inward facing facades of different periods – the building of highest importance being the timber framed range at the rear and north side of the courtyard. The three phases of building are set at different levels, with steps up to the various floor levels. The proposal was to create a gently sloping courtyard to connect all three floor levels. The courtyard was to be paved with stone cobbles between smoothly paved circulation routes, and with a central focal point and social gathering space.